If you’ve not already heard of the DHL Fan Booth at Old Trafford, it’s worth looking up. 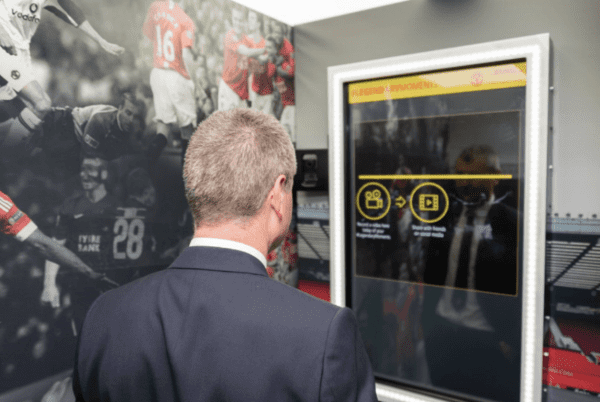 This genius application of one of our 43” multi-touch screens is part of an instalment run by Manchester United and DHL to capture fan’s favourite football memories, or Legendary Moments. Drawing attention from all over the world, this campaign encourages fans to recall cherished memories on camera. Helped by the power of good branding, this leaves them with pleasant feelings that they associate with the team. 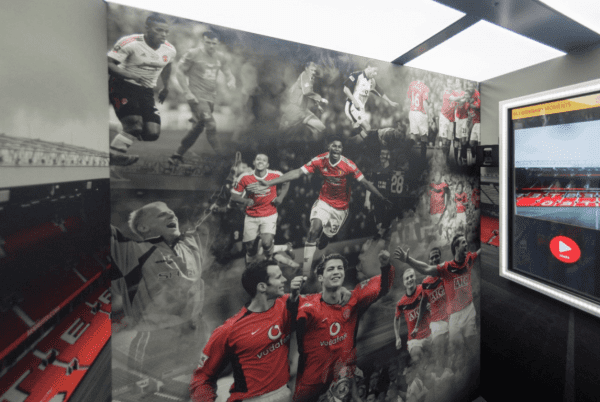 Uniting both fans and football stars such as Daley Blind, Michael Carrick, Marcus Rashford and Ashley Young, as well as former legends like Bryan Robson and Quinton Fortune, the Fan Booth has even been graced with the presence of Countdown’s Rachel Riley. You can learn more about DHL’s #LegendaryMoments campaign here. Pro Display supplied a special screen for this project. Not only does it offer 10 point multi-touch functionality, but it also boasts an enhanced brightness eco-friendly LED backlight. This screen has been built to run 24/7, with a lifespan of 50,000 hours of continual use, in either landscape or portrait. It’s touch functionality operates using infrared technology, offering the most robust and durable touch system available. It works by embedding LED lights and sensors into the bezel of the monitor above the glass. These lights beam signals across to the sensors on the other side, creating an invisible grid. When the grid is disrupted by interaction, the sensors detect the location and feedback on screen. Learn more about our range of interactive technology by clicking here. If you have some ideas about how you would like to integrate our technology into your retail displays, please get in touch via our contact form below, or call us on +44 (0)1226 740 007.